Home World Affairs Maldives goes to the polls to elect a new parliament. Maldives goes to the polls to elect a new parliament. Maldives will go to polls today to elect a new parliament. Polling will begin at 8 AM local time and will continue till 4 PM. Counting of votes will be held after the polling and preliminary results are expected by tomorrow. 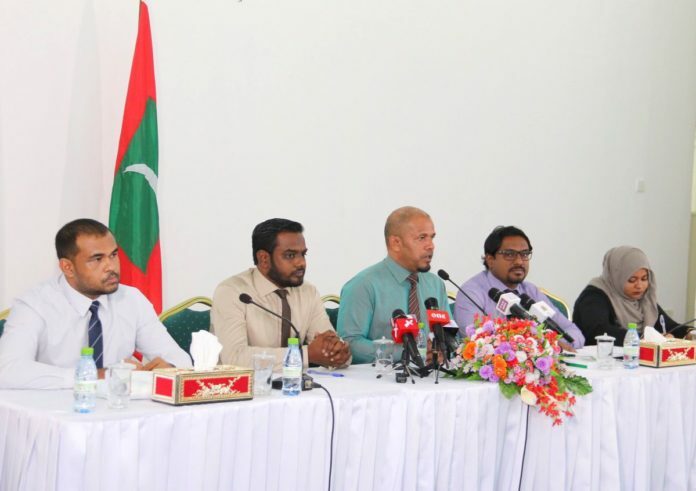 This is the third parliamentary election since Maldives adopted multi-party democracy in 2008. A total of 386 candidates are in fray for 87 seats including former President Mohamed Nasheed and parliamentary speaker Qasim Ibrahim. A total of 2 lakh 64 thousand 589 people are eligible to vote in this election and more than 500 ballot centers have been set up for the purpose. There are ballot centers abroad also including one in Thiruvananthapuram for Maldivians staying there. The main contest is between Maldives Democratic party (MDP) led by former President Mohammed Nasheed and opposition coalition led by former President Abdulla Yameen. MDP led by Mr Nasheed is contesting in majority of 85 seats while the main opposition Progressive Party of Maldives and its coalition partner People’s National Congress is contesting 45, the ruling coalition’s Jumhooree Party in 41, 10 from the Labour Party and 9 from the ruling coalition’s Adhaalath Party. The current election has become interesting as its results will have bearing on the stability of government under President Ibrahim Mohamed Solih. President and Mr Nasheed are calling for MDP majority in parliament to ensure the government remains stable and they are able to deliver on their promises. Mr. Solih won the Presidential election last September as coalition candidate of four parties including MDP. However, these parties are contesting separately during Saturday’s elections with MDP seeking support for its Agenda 19 which includes judicial reforms and fighting corruption. Next articleBangladesh FM welcomed UK’s decision to continue to extend EBA facility to Bangladesh.